AWSL is one of the premier publishers of leadership curriculum in the country. We have publications on general leadership education at the elementary, middle school, and high school levels, as well as specialty publications for cheerleadership, assemblies, and fundraising. Our current publications are sold through the AWSP office in Olympia. Please contact AWSP to place an order directly with their staff or download an order form below and send it in. Additional shipping fees and sales tax may apply. AWSL members receive a discount on publications. The second edition of "Starting in the Middle" has been rewritten and redesigned as a resource book for teaching leadership concepts to middle level students. In addition to 84 brand-new and revamped lessons for both formal and informal classrooms, a section of “20 for 20” lessons contains twenty minute lessons designed for school-wide use in advisory or homeroom settings. Also included are resources for structuring a middle level student leadership program, aligning leadership instruction to standards, workshop/large group icebreakers, and organizational tools. Is your high school leadership program looking for opportunities for advanced application? Looking for a way to engage your middle school students as near-peers to create a culture in your feeder elementary schools? Or are you an elementary teacher, adviser or principal looking to tap into some of the extraordinary potential you see in your school? No matter your scenario, Inspiring Students to Lead has workshops, program models and classroom lessons for imparting basic leadership skills to elementary students. 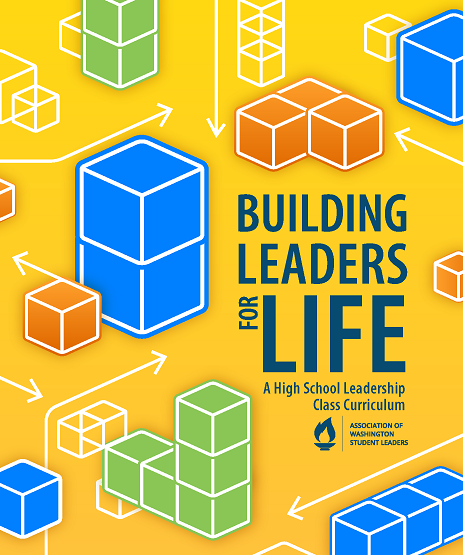 The goals for "Building Leaders for Life" provide a balanced framework for teaching leadership. The curriculum is divided into five areas: communication, group process, managerial skills, self-awareness, and human relations. Within each of the five curricular areas there are lessons that address specific objectives. Each lesson is designed to stand on its own, allowing you the freedom to pick and choose as needed. The appendix contains sample course outlines and grading formats. Written by a group of experienced cheer coaches and CheerLeadership staff members, "More than Pom Pons and Pyramids" offer ideas and plans in the areas of Cheerleadership Basics, Squad Organization and Management, Skill Development, Spirit Building, Team Building, and Fundraising. "More than Pom Pons and Pyramids" is an essential guide for schools looking to build a quality program where Cheerleaders serve as Leaders within their school. Ideas for advisers and students charged with coordinating school-wide presentations. By AWSP's Marty Fortin. Step-by-step guide for organizing and carrying out a successful fundraiser.